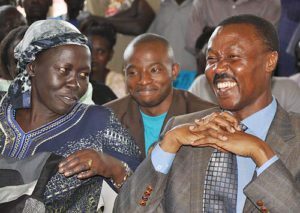 Gen Muntu (left) shares a light moment with his deputy Alice Alaso at a past function. Courtesy photo. Kampala: Forum for Democratic Change (FDC) party president General Mugisha Muntu has today taken leave from office as the party’s president. This was after he picked nomination forms to compete in the upcoming elections slated for November 17. While addressing journalists at the party headquarters in Najjanankumbi along Entebbe Road today morning Gen Muntu handed over his office to deputy president Hon Alice Alaso who according to the party’s constitution will act as party president for the coming three months. “As from today, I am delegating Hon Alice Alaso for the period I will be out of office. I have picked nomination forms. The challenge we have are leaders who say one thing and practice or do the other. This must come to an end,” Gen Muntu said. 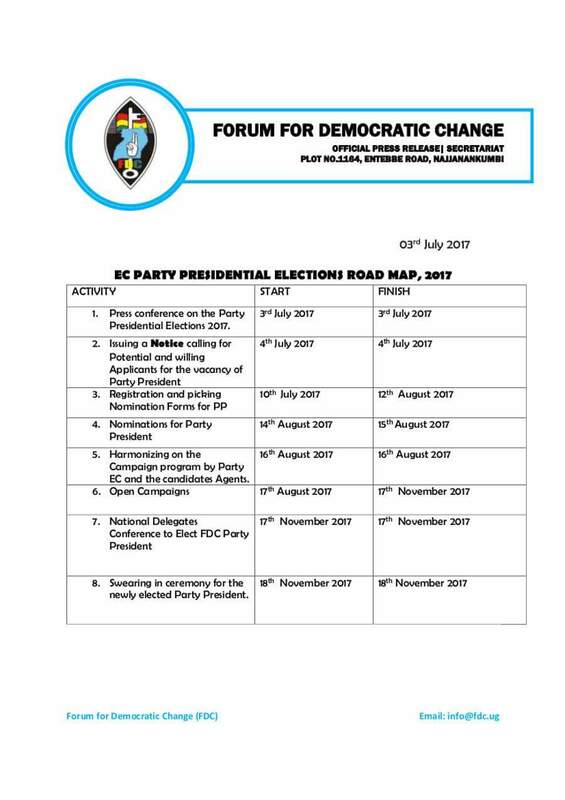 “FDC is the only party so far where we compete at the top and remain stable. We can’t give what we do not have. We are here to build a party that will outlive us. It is difficult to change the direction of a country without changing the culture of our people. Turbulence simply shows you that you still have weaknesses but the most important is having mechanisms to resolve the disagreements that there may be. I am coming back for continuity, when we came in we had a blank page,” he added. Gen Muntu replaced Dr Kizza Besigye as party president in 2012. Dr Besigye reportedly resigned from the party’s top job to give his successor time to prepare for the 2016 presidential elections. In the party elections that followed, Muntu beat party secretary general and Budadiri East Member of Parliament Nathan Nandala Mafabi to become party president. Gen Muntu defeated Mafabi by a margin of 33 votes after he polled 393 votes against Mafabi’s 360. Gen Muntu will face off with Kawempe South MP Mubarak Munyagwa , Dan Malcom Masiko, Moses Lukubira, Moses Byamugisha and Patrick Amuriate Oboi. It is not yet clear whether Mafabi will contest for the party’s coveted seat.